Managing a project isn’t easy. You can face many challenges. There can be your project deadlines, limited budget, and most importantly untimed risks. So how do you deal with them? But before you reach the solution, it’s important you understand ‘what is a project? ‘ and ‘what do you understand by project management?’. Let’s explore them in detail. In contemporary times, a project can be understood as an individual or collaborative enterprise that involves researching and designing which needs to be planned carefully. The planning involves a project team that is hired to achieve a particular goal. Projects are temporary in nature and can also be seen as a set of interrelated tasks. Those that need to be executed within a deadline, certain cost, and other limitations. Once you’ve understood how projects are defined, you’ll need to dive into the prospect of project management. So, here’s what it means. As explained before, projects are temporary endeavors. They come with a pre-defined start and end time along with defined scope and resources. That’s why they are unique. The operations designed to achieve a single goal are not performed in daily routine but for a specific span of time. This is where management kicks in. Project management is specifically the application of skills, knowledge, techniques, and tools that help you meet the objectives set for every task hassle-free. Adhering to project management life cycle and integrating these top 10 areas will require a solution. This is none other than an online-based project management software. Let’s understand what it is and why you need one. While some projects face cost overrun issue, some lead to failure due to lack of planning, resources, and activities. This is one of the reasons why projects come a deadline and limited budget. And this is where a management tool can come to their rescue. A simple project management software helps managers and other stakeholders keep a track of a project’s costs and deadlines. Managers can easily track whether project payments have been made on client’s behalf or not and in the correct amount. The reason why PM tools have become popular amidst project managers and their team members is due to their lucrative features. These features help managers work through a project seamlessly. Still, there are some managers who still rely on spreadsheet management system. In the age of technology, project managers still feel comfortable managing their work, project status, and reports through spreadsheets rather than integrating a tool for their use. But it’s high time they work on tool integration to stay market relevant. Their competitors may get ahead of them with the use of a good project management tool. After all, they understand and must have experienced the benefits of project management tool during its implementation. However, Project management tool integration should not just happen because others are benefiting from its use. You need to understand why it needs to be implemented while you work on a project. 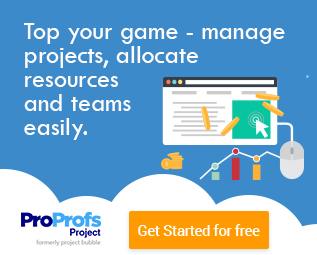 Why You Need a Project Management Software? There are various benefits of using a good project management software while managing a project at your organization. Here’re some of the many benefits a manager and its stakeholders can experience during its use. To stay on schedule while working on a project is an important aspect. But is it possible every time? Probably not. This is where a simple project management software will work in your favor. With the tool, you can set the start and due date for every task under a project. Once the start date arrives, your team members will receive constant reminders via email about the task. Thus, everyone will be aware of the deadlines and clients can receive updated status on how a project progresses easily. Other than keeping a track of how a project is working along the set schedule, a manager needs to track a project’s progress regularly. But reaching such objective manually isn’t easy. That’s why integrating a good project management tool is essential to track a project’s progress hassle-free. You can see how much work has been completed, how much efforts your team members are pulling in, and how much time has been spent to complete each task in a quick overview. To avoid such outcomes, it is important that companies integrate a Project management tool to help them improve communication with teams and other stakeholders. You can’t afford to miss any updates from the client and how they need to be implemented. That’s why real-time collaboration becomes an essential part of an ongoing project. And to be able to have seamless collaboration, integrating a Project management software is necessary. It’s easy to lose track of files and essential documents in long email chains. But with an easy project management software, this can be avoided hassle-free. Whether it’s a file from a client or one received from a remote employee after a project’s completion, keeping track of all files is easy with a management tool. As relevant files are attached to their tasks, you can simply track and find them through the software. Your clients can also access and revise them if they have the user access. There was a time when project teams had to sit for hours and work upon their excels and create reports that described a project’s progress. But not anymore. With a Project management software, this scenario has changed. Now all you need to do is add information like estimated budget and capital spent at each stage of a project. These are processed once you click on ‘generate a report’ option. In a few clicks, you’ll easily generate one and can send them to the client via email. This also helps you save time on setting a face to face meeting with them. Another benefit of integrating a PM tool to your workplace is invoice generation. Like reports, create and email invoices to your client in a few clicks. But make sure that you’ve fed all expense details to your project management tool. The invoice also clears your clients about the number of payments they’ve released and those still pending on their part. In short, resolving any payment issues for both the organization and clients. So, integrating a project management software can become an added benefit for your organization. You can manage your projects from anywhere, anytime without facing the risk of losing any data. Tracking progress for each active project becomes simple. You also get to break down your projects into achievable milestones that help you meet the goals hassle-free. These convincing reasons are sufficient to buy a project management software that helps your clients and other stakeholders meet their goals efficiently. With time, investment towards buying a project management software has become a pivotal aspect of organizations. Reason? There can be many. But first, it’s important that they understand what a simple project management tool is and how can it help them achieve the goals of their project. 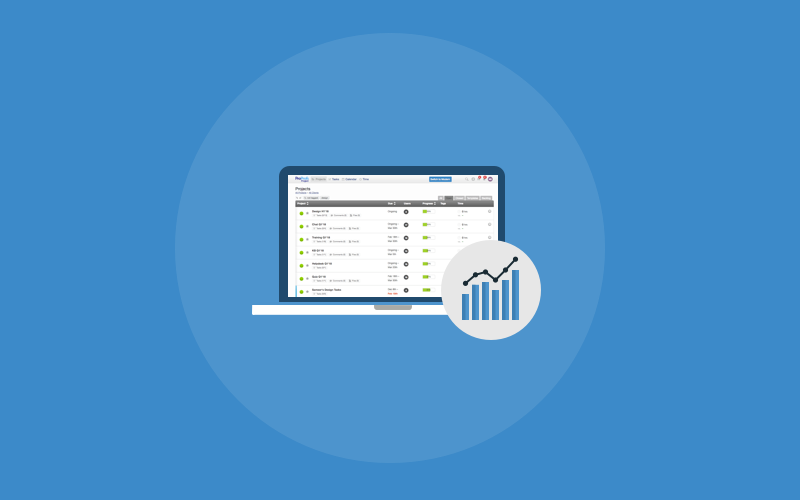 A Project management software is a means to track the budget received and spent, along with the overall progress made by team members on a project. They’ve become quite a useful tool for individuals and large-scale organizations. In fact, a study by Price Waterhouse Coopers suggests that an organization can boost employee productivity through PM tool integration. Still, there are certain organizations that are yet to integrate the tool in the workspace. One of the reasons why they haven’t integrated the tool into their work process is due to lack of clarity on why they need it in the first place. Once that gets cleared, there are no way organizations will give up on the use of a good project management software.